By now, you’re probably well-aware about the health risks linked to drinking high-sugar or artificially sweetened sodas. But when it comes to fountain soda, there’s an even bigger health risk. Apart from high fructose corn syrup and a bevy of toxic ingredients, something else lurks beneath that fizzy exterior. And it is so disgusting that you may never want to drink another fountain soda again. When it comes to guzzling soda, the average American drinks just over 38 gallons of soda a year. That’s about eight 12-ounce cans of soda a week, according to a 2013 report from Centers For Science. Although that seems alarmingly high, there has been a decline in soda consumption — the lowest since 1985. In 2015, Pepsi experienced the biggest decline in soda sales, with a 3.1 percent volume drop. Still, with the average American drinking such high volumes of soda each year, maybe it’s time to look deeper into that seemingly harmless cup of fountain soda. Because, from what research is telling us, you could be guzzling far more than you bargained for. In 2009, a team of scientists from Hollins University studied patterns of microbial contamination in soda fountain beverages. What they found could turn you off fountain soda permanently. The study, published in the International Journal of Food Microbiology, examined samples within a 22-mile radius in Roanoke, Virginia. Forty-eight percent of beverages from soda fountains tested positive for coliform bacteria. That means there could be poop in your soda! While it’s unclear how the soda fountain became contaminated with coliform bacteria, the results showed that about half of the drinks tested (90 beverages) came up positive. Researchers have found E. coli in fountain soda samples. In the same study, researchers also detected Escherichia coli (E. coli) in the fountain soda samples. E. coli are a large and varied group of bacteria that usually live in the intestines of people and animals. 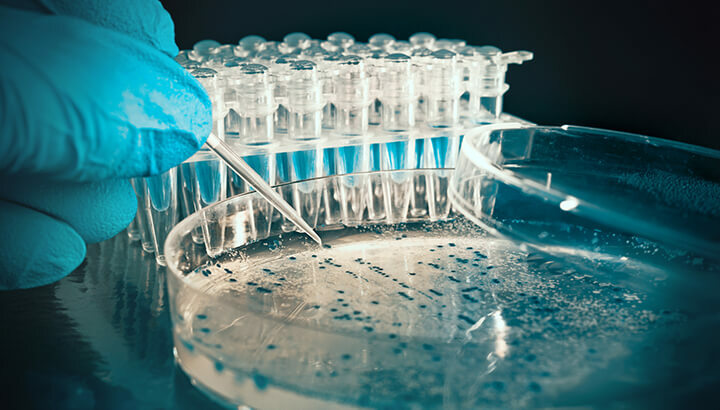 While most strains of E. coli are harmless, others can make you sick, says the Centers for Disease Control and Prevention (CDC). Although the report did not specify which strains were detected in the soda, there’s really no place for E. coli in any fountain drink. A severe E. coli infection may also include bloody urine, decreased urine, pale skin, bruising and dehydration. How is E. coli getting into the soda? Generally, E. coli is the result of cross contamination. Although it’s unclear how exactly the soda lines or machines are actually being tainted with E. coli, the most likely source is from human contact. If a person doesn’t wash their hands after having a bowel movement, the bacteria can spread when that person touches someone or something else, like food — or a soda fountain. Thirteen months later, researchers once again examined soda fountains for bacteria and compared samples. According to their report, over 70 percent of beverages contained microbes in both years. That means that the contamination in soda fountains can likely thrive for long periods. Researchers also looked at the disinfecting practices for soda fountain machines and the effect it might play on bacteria. Managers from 26 fast food and convenience stores were interviewed about their disinfecting practices. But there didn’t seem to be a link between the self-reported disinfecting practices and levels of bacteria found in fountain soda. Furthermore, when researchers studied two soda fountain machines — with the same disinfecting practices — bacteria in the dispensed soda increased significantly. What’s worse, bacteria increased immediately after disinfecting the plastic tubing. It returned to “pre-disinfecting” concentrations within 11 days. 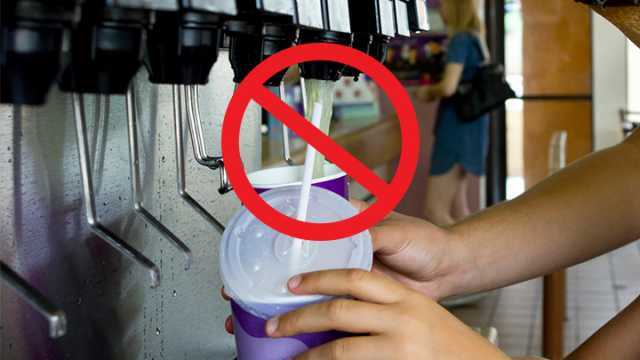 Therefore, just because soda fountains are being disinfected, it doesn’t necessarily mean bacteria are being removed. Disinfecting, according to the report, seems to just disturb the bacterium, which in turn creates an environment for them to thrive. In addition, samples of both sugar and diet sodas were collected from 15 different soda fountain machines, before and after dispensing a large cup of soda. Interestingly, samples collected prior to dispensing soda showed significantly high amounts of bacteria. Yet, samples collected after soda was dispensed had less, suggesting that bacteria in beverage lines are reduced by flushing with soda. So, when dispensing soda from a self-serve fountain, make sure to dispense a little away from your cup prior to actually filling your cup. 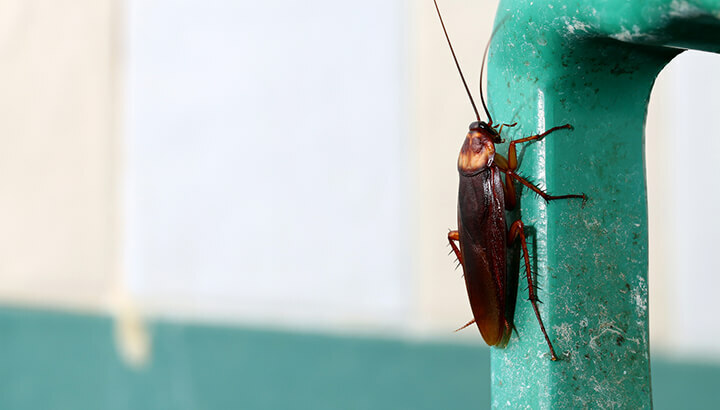 Cockroaches sometimes hide in fountain soda machines. And if poop wasn’t bad enough, how would you like to find a cockroach floating in your soda? Cockroaches usually live in groups and are mostly active at night. During the daytime they will hide in cracks and crevices in walls, door frames and furniture. You can also find them in cupboards, drains, electric devices, and yes, even around soda fountains — where they are commonly found. But cockroaches are more than just creepy, crawling, disgusting nuisances. According to the World Health Organization (WHO), cockroaches spread filth. They spew portions of their partially digested food at intervals and drop feces. They also discharge a nauseous secretion, says WHO, both from their mouths and from glands on the body, which gives off an ongoing, offensive cockroach smell. In addition, cockroaches carry the eggs of parasitic worms. They may even cause allergic reactions like itching and swelling of the eyelids and respiratory conditions. Unfortunately, where there are foods (and syrups) there is a potential for mold. Some molds thrive well on high sugar or salt content. Soda fountain machines are moist, rarely cleaned and full of sugary syrup, making them ideal for harmful mold to flourish. So, before you fill your cup, check for a buildup of syrup on the nozzles and mold in the ice chute, suggest Dr. Oz. If it looks dirty, you’re better off skipping the fountain soda and opting for a bottled drink instead. Better yet, how about avoiding sodas all together? If the bacteria, feces and mold don’t bother you, perhaps high fructose corn syrup will. The maximum amount of sugar you should consume in a day, according to the American Heart Association, is 150 calories or nine teaspoons (37.5 grams) for men and 100 calories or six teaspoons (25 grams) for women. Yet, when it comes to drinking soda, a 20-ounce bottle of Coca-Cola Classic contains 65 grams of sugar — that’s a whopping 13 teaspoons of sugar! A 20-ounce bottle of Pepsi has even more sugar at 69 grams or almost 14 teaspoons of sugar. And, when it comes to high fructose corn syrup (HFCS) found in most fountain and canned sodas, research suggests that there may be a link between HFCS consumption and metabolic syndrome. Metabolic syndrome is a cluster of conditions that includes high blood pressure, high blood sugar, excess body fat around the waist and abnormal cholesterol levels. When these conditions occur together, it increases your risk for heart disease, stroke and diabetes. Even if drinking soda daily doesn’t increase your body weight, HFCS can still create changes in your body that lead to metabolic syndrome. Meanwhile, another study published in the European Journal of Nutrition found that regularly drinking soda not only increases your chances of gaining weight, but also changes metabolism. Soda can be hard to resist — it’s sweet, fizzy, thirst quenching and even gives you an energy boost. Granted, you’ll be sugar crashing shortly afterward. And, although sugar-free sodas don’t have any calories, they still have their own set of health risks. Not to mention diet soda is just as susceptible to bacterial contamination as sweetened fountain drinks are. So, what are the options other than fountain soda when you’re out for lunch or dinner? Your best bet is water. While it may be difficult weaning yourself off sugary sodas, some restaurants offer lightly carbonated water in glass bottles. That could make the transition from soda to water a little easier. Cheers! Next articleWhat Is Activated Charcoal Used For? Hey Buddy!, I found this information for you: "4 Gross Reasons To Stop Drinking Fountain Sodas". Here is the website link: https://www.thealternativedaily.com/reasons-to-stop-drinking-fountain-sodas/. Thank you.